Urban Wild Life was written by Gill Harvey. 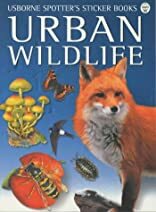 Urban Wild Life was published by Usborne Books. Subjects of Urban Wild Life include Natural history & pets, Sticker & stamp books, and Urban communities.